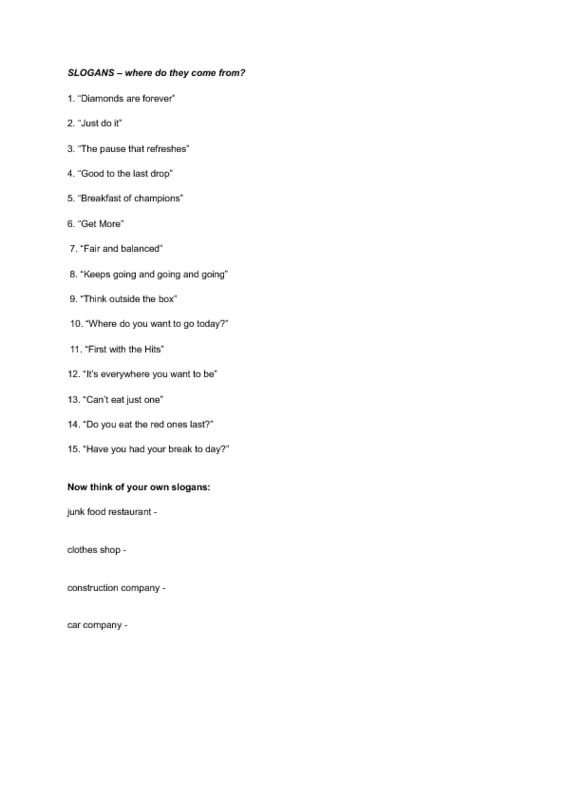 I created this worksheet as a part of a business lesson for my students. First activity is to allow students to guess where the slogans come from. 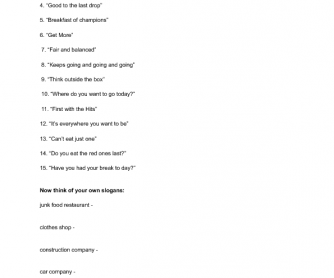 The follow-up activity is to think about slogans that can be created for the types of companies/businesses below. Hope you'll like it.